For many years, Ajeet Gaur says he saw madrassas in his neighbourhood of Aligarh did not unfurl the Indian flag on Independence Day and Republic Day. A director at the Devi College in Aligarh, he filed a writ petition in the Allahabad high court asking why the Uttar Pradesh government did not direct all madrassas to unfurl the national flag on Independence Day and Republic Day. On Tuesday, September 1, the court passed an order asking the Uttar Pradesh government to reply to the petition, and fixed Septembr 22 as the date for the next hearing. Gaur, image, below, spoke to Syed Firdaus Ashraf/Rediff.com over the telephone on why he filed the case. Why did you file this case over madrassas not hoisting the Indian flag on Independence Day and Republic Day? I have seen that many madrassas do not celebrate Independence Day and Republic Day. They don't even invite people for Independence Day celebrations and this is an insult to nation. It is wrong. If you live in this country then you must respect and love this country. Where did you see that madrassas do not celebrate these national days? In Aligarh and many other places I went to. They don't invite people to celebrate on Independence Day and Republic Day. The government is giving them grants and they are insulting our nation by not celebrating our national days. So do you want the grants from government to stop? No, I don't want that. Let the madrassas get more grants from the government, but the government must ensure that they celebrate important national events. We don't even know whether the government knows that madrassas are not celebrating Independence Day and Republic Day. Right now, I have approached only the high court, but later on I will go to the Supreme Court too. The Darul Uloom Deoband as well as Sunni Islam Barelvi schools have clearly stated that they celebrate Independence Day with pomp in their respective madrassas, so why are you filing this case? No sir, they have said that those madrassas who get grants must celebrate Independence Day and Republic Day. There are so many private madrassas who are not celebrating. Do you mean to say even private madrassas, which are not funded by the government, must celebrate these days? Yes! We stay in this country, we eat the food from here and therefore we must respect this country. Our national flag is for everyone. We are 125 crore (1.25 billion) people and we all must respect our national flag. What is your personal belief about madrassas? Do you believe they are anti-national, as some people allege them to be? I cannot say anything about this because I don't want this madrassa issue to become a political issue. I don't want political parties to take advantage of this case. I do not belong to any political party. I am doing this case to get respect for our nation and all the 125 crore people of this country must also respect our nation. All of us must respect our Constitution. Do you want some change in the functioning of the madrassas? I run my own college and I never discriminate between any religions. I don't believe Muslims to be different than us. What they teach in madrassas, I have no idea. When was the first time you saw that madrassas did not celebrate Independence Day and Republic Day? In Aligarh's Kher tehsil I saw they don't celebrate and unfurl the national flag on Independence Day and Republic Day. I have been seeing this for many years. I went to government officials too and told them about this, but they took no action so I went to the Allahabad high court. Are you associated with any political party? I am from no party. 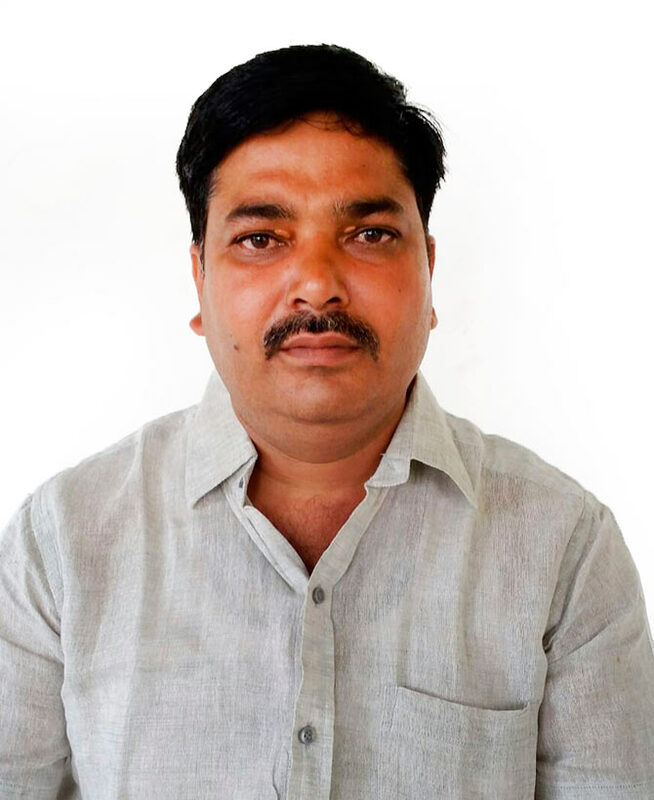 I have won an election as an independent candidate in the zilla panchayat election. I have never thought of joining any party. When you went to government officials and told them that the madrassas are not celebrating Independence Day and Republic Day, why did you not go and tell this to the madrassas directly? You see the situation in the country. Who will have the guts to go to madrassas and tell them about this issue? The government officials must do this job. What is there to be scared about? You just need to go to a madrassa and ask them why they do not unfurl the national flag. Do you fear a communal situation erupting? No one has guts to go and tell them about this issue. But the people at the madrassa are our countrymen, aren't they? Countrymen, yes. I have gone to the Allahabad high court only for this reason. They will issue an order which everyone has to respect. 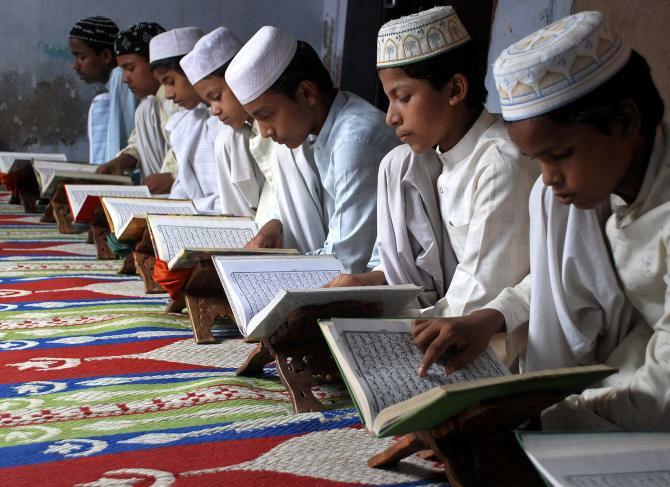 Did you know how much madrassas have got as grant from the government? I only read it in the newspapers. They get Rs 1 crore to Rs 10 crore (Rs 10 million to Rs 100 million) as grants. Who is there with you to fight this case? I am fighting this case in my individual capacity and have paid for the lawyers. Decoding Ishant Sharma: Slow starter to match-winner! India's Report Card: 10 for Ashwin; 9 for Ishant!